A significant number of parties must work together in order for a construction project to be completed on time and under budget. Sometimes though issues arise that may delay payment. 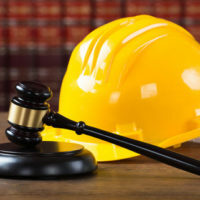 If a contractor is not paid for its work on a privately owned construction project, Florida offers a remedy in the form of the Construction Lien Law. However, the law must be strictly adhered to in order to have it help you secure compensation. A lien in general is defined as an encumbrance or security interest filed on an asset or piece of property to secure a debt of the property owner. More specifically, a Construction Lien is what may be recorded when a Contractor, Subcontractor, Subsubcontractor, Material Supplier or Design Professional who provided labor, services or materials has not been paid in full – Florida law allows such parties to record Construction Liens on the newly built or renovated property in order to push an owner toward paying them what they are due. Though that right is not “perfected” (in other words, the way is not clear for it to be used) unless certain requirements are complied with. While it can be tempting to simply record a Construction Lien or settle a dispute without legal help, this can often lead to making the situation more complex and potentially more expensive. The construction lawyers at the firm of Linkhorst & Hockin, P.A. have a significant amount of experience handling these types of and will be happy to sit down with you and try to help flesh out the right path for you to pursue. Contact Adam C. Linkhorst today at 561-626-8880 or acl@floridahardhatlaw.com to set up a consultation.